I’ve not been very active on the blog recently, but I couldn’t miss Steph and Jana’s monthly Show Us Your Books linkup. While I haven’t been in the mood to write very much, I have been reading up a storm. I read eight books in March, most of which were really great reads! Here are my March reads from least to most liked. 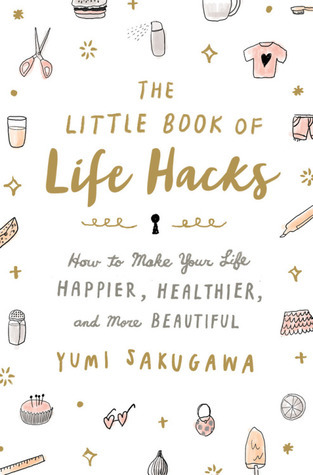 The Little Book of Life Hacks by Yumi Sakugawa – This is a fun little non-fiction book with beautiful illustrations. However, there’s so much information and much of it is nothing new. 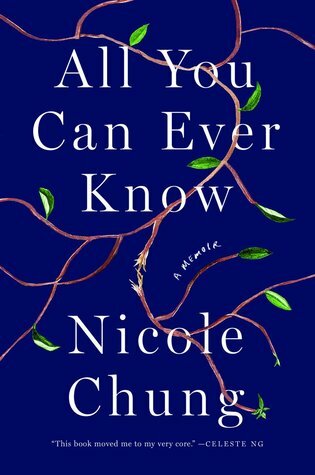 All You Can Ever Know: A Memoir by Nicole Chung – Nicole was born to Korean parents and adopted as a newborn. Raised by a white family in a small town in Oregon, she doesn’t know much about her adoption. But now, pregnant with her own child, Nicole hires someone to help her contact her birth parents. She learns things about her biological family, while discovering family secrets and making new connections. Adoption is complicated. Although I am adopted myself, I didn’t relate to her situation. She was born in the United States to Korean parents, where I was born in South Korea. I do wonder about my medical history, which is a difficult part of being adopted and what started her search for her birth parents. 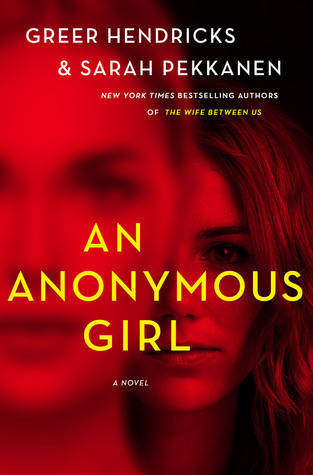 An Anonymous Girl by Greer Hendricks and Sarah Pekkanen – Jessica Farris signs up for Dr. Shield’s psychology study and becomes Subject 52. She must answer a series of questions about morality that become more invasive. She is soon being manipulated by Dr. Shield and that this study is more than she had bargained for. This was a great suspense read that had plenty of twists to keep me guessing until the end. Cravings by Chrissy Teigen – I read her second, more recent cookbook, Cravings: Hungry for More first. I really enjoy her down-to-earth writing style and the recipes are actually things that I want to cook. 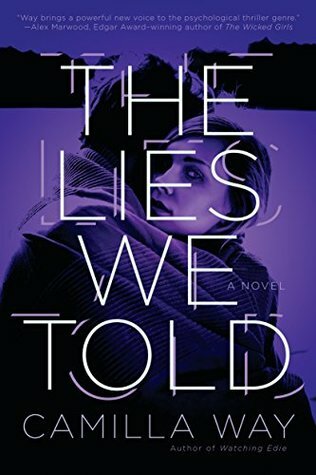 The Lies We Told by Camilla Way – This story has two story lines – present day where Clara’s boyfriend Luke disappears. His computer e-mails show that he’s had a stalker for some time. Over twenty years ago, Luke’s sister Emily disappeared. Now, she has suddenly returned and wants to help find Luke. The second story line takes place in the past where Beth and Doug realize that their daughter Hannah is not like other children her age. She seems troubled and aggressive. Of course the two story lines end up connecting in a series of plot twists and turns that kept me guessing until the end. 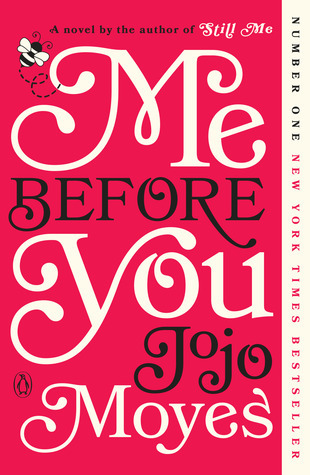 Me Before You by Jojo Moyes – I really enjoyed this book years ago when I first read it. This was my work book club’s March pick so I decided to do a reread. It was still as good as I remembered. I love Louisa and her quirkiness. This book also brought me a good reminder to make sure I get out there and try new things and enjoy life. 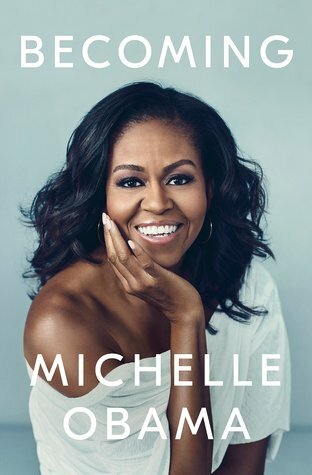 Becoming by Michelle Obama – I don’t read many memoirs. I knew that I wanted to read this book though and had been waiting patiently, for what seems like forever, for it to come in from the library. I really enjoyed learning about Michelle’s past and what life was like for her balancing being the First Lady while still trying to keep life as normal for her daughters. She’s always been so down-to-earth and this book is so open and honest. I am definitely excited to read An Anonymous Girl! I took a little break from thrillers, but I’m hoping to read it here soon! Yeah, I sometimes need to take a break from thrillers too – they can get repetitive. But I do recommend An Anonymous Girl! I liked An Anonymous Girl a lot. The Lies We Told Too. 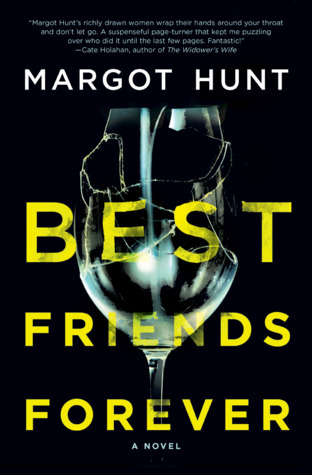 Best Friends – worth it? I enjoyed it – it’s a decent suspense book. I loved Me Before You, but I still need to read the others. I DEFINITELY need to read Becoming; glad you loved that one. Yes it seems a bunch of us read Becoming this month and loved it. They are very different books but recommend them both! i loved Becoming – so good. i also liked an anonymous girl, so creepy. it’s been a couple years since i read me before you, i might do a reread soon! it would be interesting to see if it packs the same punch even when you know what’s coming. It had been years since I had first read Me Before You. Even having read it and having seen the movie I still enjoyed the reread! Best Friends Forever sounds good. I really liked the author’s For Better And Worse as well! For Better and Worse is on my to read list. I’ll have to give it a read sooner than later. Yes, I read all three books in the Me Before You series and enjoyed them all. I loved following Louisa’s journey! I agree that Becoming was such a good book. I recommend Me Before You and actually all three books in the series. I’m excited to read Anonymous girl. It’s a good book and I just read on someone’s post that it’s being turned into a television show. Becoming was not the best memoir I’ve ever read yet I loved it so much. Maybe because I love her. I don’t read a lot of memoirs but it was so good! But I agree loving Michelle, which I do too, helps a lot! I read me before you a few years ago. Becoming was my favorite non fiction last year. I have a cravings too, the cacio e pepe recipe is so so good and the chicken satay. I read the Me Before You series but did a quick reread for my book club. I enjoyed it just as much the second time. I understand all the hype about Becoming. Such a good read. Oh man, An Anonymous Girl sounds really intense. I think I might need to add that one to my list! It’s a good read. And I heard it’s being turned into a television show! I was on hold for it forever as well! It’s worth the wait! That’s great that of all those books there was only one that wasn’t great! Sounds like a great reading month for sure 🙂 There are a lot of new-to-me picks on here too, which is always fun! I love finding out about new books through the SUYB linkup (although my TBR is out of control). I agree that it’s fun discovering new to me books from the link up! My TBR pile is also out of control though. I’ll never get to them all! I recently read Me Before You. I loved it! I want to read the rest of the series but haven’t yet. I have a bunch of these on my list as well! I’ve read the entire Me Before You series and enjoyed it a lot! I love Louise!